Almost 2,400 council-maintained road bridges in Great Britain are sub-standard. Data collected and analysed by the RAC Foundation found that some 2,375 structures over 1.5m in span are not fit to carry the heaviest vehicles now seen on our roads, including lorries of up to 44 tonnes. These 2,375 bridges represent 3% of the estimated 71,000 local road bridges in Britain. Some of the bridges will be sub-standard because they were built to earlier design standards. Others will have deteriorated through age and use. 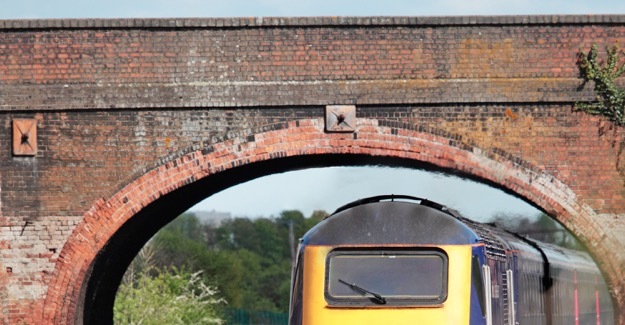 The RAC Foundation estimates that it would cost a total of £328 million to bring the 2,375 sub-standard bridges up to perfect condition. That is the equivalent of £138,000 per bridge. If councils had enough money to carry out the work then local authorities say they would prioritise 30% of the sub-standard structures for repair in the next five years. Each year about half of council-maintained bridges in the country are inspected. The information used by the RAC Foundation for its calculations came from a mix of FOI requests and a survey carried out by the National Bridges Group of ADEPT (the Association of Directors of Environment, Economics, Planning and Transportation). “Highways maintenance doesn’t start and end with filling in potholes though that in itself is a big enough job. Another key responsibility for councils is to keep their highways bridges up to scratch. “Four years ago the Hammersmith Flyover in London had to be shut to traffic because it had deteriorated badly. It caused major congestion and was a graphic illustration of what could happen if our national infrastructure is not adequately maintained. The analysis is based both on FOI requests sent to all 207 highways authorities in Great Britain, of which 193 replied in a standard useable form, and a smaller survey of 50 councils carried out with ADEPT.